Shakyamuni Buddha, the fourth Buddha of this eon, through his physical power gathered disciples of three types. Through the power of his mind, he came to know the predilections and dispositions of those disciples. And through the power of his speech, he taught the profound and vast Dharma of both the lower and higher vehicles. He then entered the Mahaparinirvana. After Shakyamuni Buddha’s passing, his teachings were collected by his immediate disciples, preserved and spread by later generations of disciples, and meditated upon by exalted ones, who themselves attained great realizations. All these realizations were collected and analyzed by great scholars through three processes: exposition, debate and composition—an analysis like that of a seasoned goldsmith checking the quality of precious metal through smelting, sawing and polishing. Later, the Dharma kings of Tibet sponsored the translation and dissemination of these Dharma teachings. Among these literary classics, as it is well known among the Tibetan scholars, four subjects—Madhyamika, Prajnaparamita, Vinaya and Abhidharma—form the gist of our curriculum. Another way of enumerating the texts we study, as it is common in the tradition of Dzogchen monasteries, is listing the thirteen great texts:(1) The Way of the Bodhisatva, (2) Pratimoksha Sutra, (3) Vinaya Sutra, (4) Root of Wisdom, (5) Four Hundred Stanzas, (6) Supplement to the Middle Way, (7)AbhidharmaTreasury, (8) Compendium of Abhidharma; plus The Five Dharmas of Maitreya, which consist of (9) The Ornament of Mahayana Sutra, (10) Ornament of Realization, (11) Differentiation of Middle and Extremes, (12) Differentiation of Phenomena and Its Reality, and (13) Continuum of Tantra. 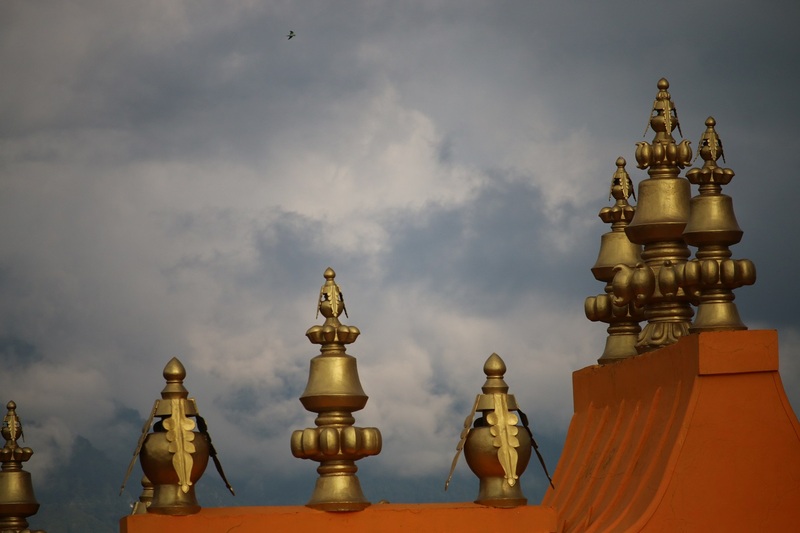 There is yet another tradition of counting the texts studied here, in accordance with the Sakya Lhakhang monastery, which categorized the texts under six corpuses. 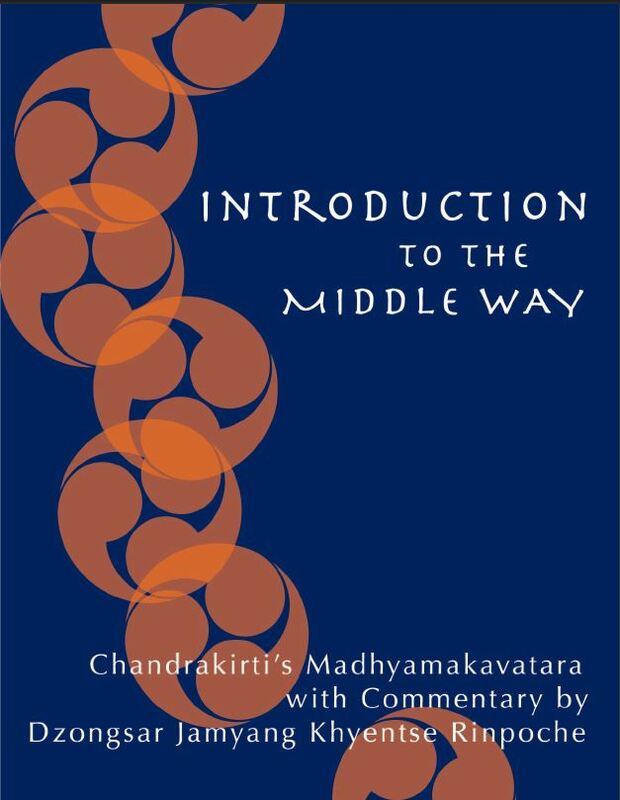 The Madhyamika corpus comprises a logical corpus and an epistle corpus—all from Nagarjuna’s writings—and this is complemented by The Introduction to the Middle Way and Four Hundred Stanzas. The Prajnaparamita corpus consists of The Way of the Bodhisatva and Five Dharmas of Maitreya. The Vinaya corpus is a collection made of the Pratimoksha Sutra, Vinaya Sutra and Two Karikas. The Abhidharma corpus includes Treasury of Abhidharma and Compendium of Abhidharma. The Logic and epistemological corpus comprises The Compendium of Valid Cognition, Great Exposition of Valid Cognition and Certainty of Valid Cognition. Finally, the sixth category, general corpus, includes Treasury of Valid Knowledge and The Differentiation of the Three Vows. 2). Various lineages of transmission. 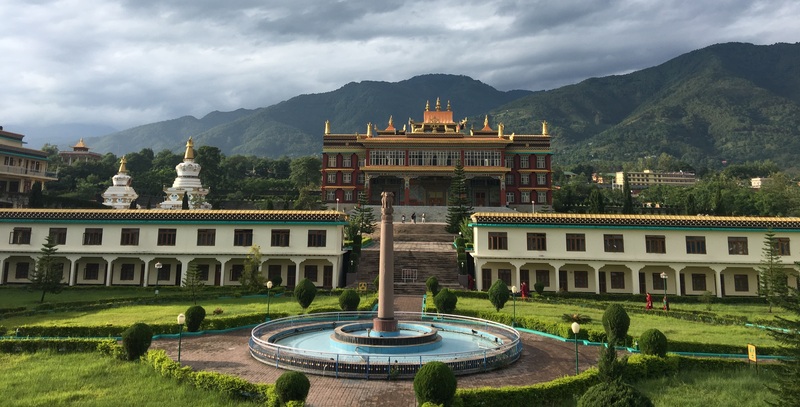 Most of the exoteric teachings propagated in Tibet during the early, middle and later diffusion of Dharma passed through the monastery of Sangphu Nuethog (or Sangphu Institute), which was founded by Ngog Lekpai Sherab and was the main seat of the great translator (lotsawa) Ngog Loden Sherab. The teaching lineage of Madhyamika school of Arya Nagarjuna was held in India by two currents, Prasangika and Svatrantika. 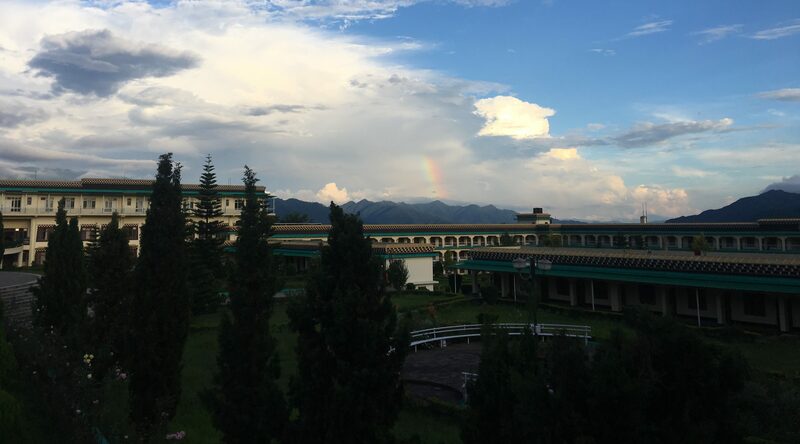 The Prasanghika school tradition was bought to Tibet by the translator Patshab NyimaDrak and disseminated through his four spiritual sons, while the Svatrantika school tradition was translated and propagated in Tibet by Ngog Lotsawa through the Sangphu institute. The Abhidharmic lineages known as Khamlug was instituted through the effort of the Indian Pandita Mitrijnana, who taught The Treasury of Abhidharma in the Tara monastery of Kham Dhen Klong Thang. Another line of transmission of the Abhidharma, which was propagated through greater and lower Chim, passed from SakyaPandita, who received its transmission first in spiritual vision and later from a great Kashmiri Pandita. The lineage of logical and epistemological studies in Tibet was first brought by Ngog Loden Sherab who studied this tradition in Kashmir with a scholar known as Kargyel. This tradition is known as the early epistemology. Sakya Pandita Kunga Gyeltshen studied writings of Dignaga and Dharmakirti with the Kashmiri Pandita Sakya Shri Bhadra and various other accompanying scholars. He later translated many important works of this tradition and also composed his famed Treasury, whose lineage is known as later epistemology. 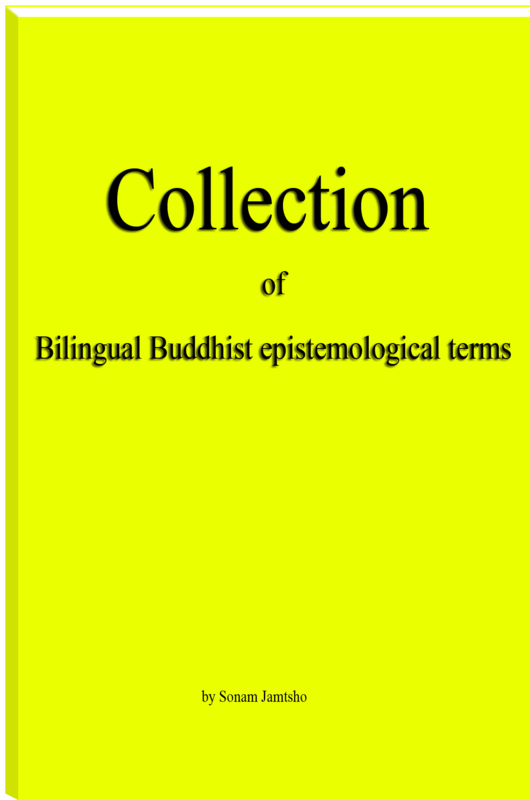 All these various epistemological traditions were transmitted through Sangay Phel, a student of Yakpa and Rongtonpa. Gorampa, who in turn was a student of Sangay Phel, spread this lineage from his monastery at Tanag Thubten Namgayling and through the monastery of great Sakya Lhakhang. The first Shechen Rabjam, who founded the monastery of Shechen, first attended Dreyul Keytshel and became a great scholar. He later became a student of Dzongchen Rinpoche, and thus spread philosophical studies in these monasteries. The fourth Dzogchen Rinpoche inspired Gyelsey Zhenphen Thaye to institute a learning centre and teach The Certainty of Three Vows, Madhyamika philosophy, Prajnaparamita, Vinaya and Abhidharma, producing great teachers like Patrul Rinpoche and his nephew Onpo Ugyen Tenzin Norbu. Zhenphen Jampai Gocha, commonly known as Zhenga Rinpoche, was a student of those masters and he was also the first throne holder of the abbatial seat atDzongsar Shedra. Khenchen Onten Khenrab, a student of Khenchen Zhenga, transmitted the two separate lineages of teachings that sprang from Dreyul Keytshel. The first lineage was passed to him by Loter Wangpo, and its roots can be traced to Thubten Namgyal monastery, in the Tsang province. 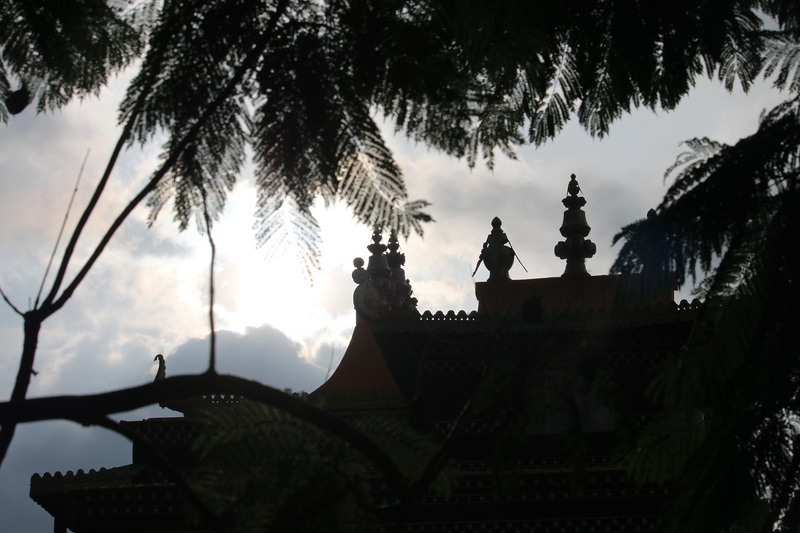 The second lineage, which had its roots in Dzogchen and Shechen monasteries, he received from Zhengha Rinpoche himself. Khenchen Kunga Wangchuk Rinpoche received from Dosib Thupten Gyeltshen and Khenpo Khenrab (both students of Khenpo Onten) the teaching lineages of the six treatises corpuses, the collected works of the five founding masters of Sakya, the collected works of Ngorchen Kunga Zangpo and Ngorchen Kenchog Lhuendrup, the collection of hagiographies of masters of Lamdre, and many treatises of logic and epistemology. From the second Jamyang Khyentse Chokyi Lodoe, Khen Rinpoche Kunga Wangchuk received teachings on Shantideva’s Compendium of instructions, the Jataka tales, the collected works of Ngulchu Thogmed, the commentary on Ornament of Mahayana sutra, Mountain Dharma of Karma Chagmed, Gampopa’s Jewel of Liberation and Rongton’s Commentary on Ornament of realization. 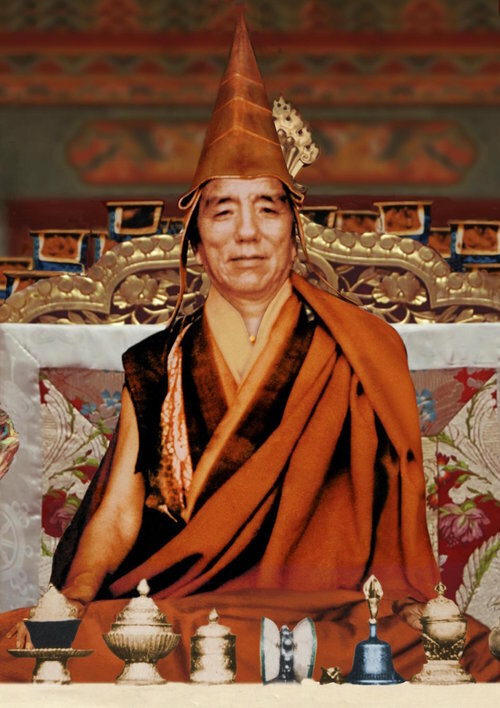 Khen Rinpoche also received the teaching on Certainty of valid cognitions from Trulshik Rinpoche, and from Chogye Thrichen he received teachings on the Garland of Jewel and The Two Praises of Buddha. The history of Dzongsar Shedra in India. The third Khyentse, Jamyang Thupten Chokyi Gyatso, in order to revive and institute the teaching lineages of Dzongsar Shedra, invited Dosip Khenpo Kunga Wangchuk to India. Khenpo Kunga Wangchuk was an immediate student of the second Khyentse Chokyi Lodoe and also a graduate of Dzongsar Shedra in Tibet. Accordingly, Khenpo Kunga Wangchuck (later known as Khen Rinpoche) arrived in India in the year of 1982. His first session of teaching began on the fifteenth day of the first month of the Tibetan calendar in 1983, at a place called Nenang Dechen, in Sikkim. 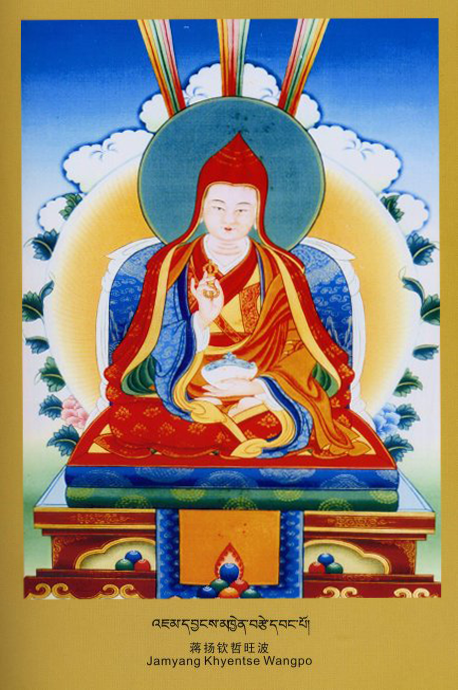 Khen Rinpohce started to teach The Way of the Bodhisatva, by Shantideva, and The Differentiation of the Three Vows, by Sapan, to a group of seven students. 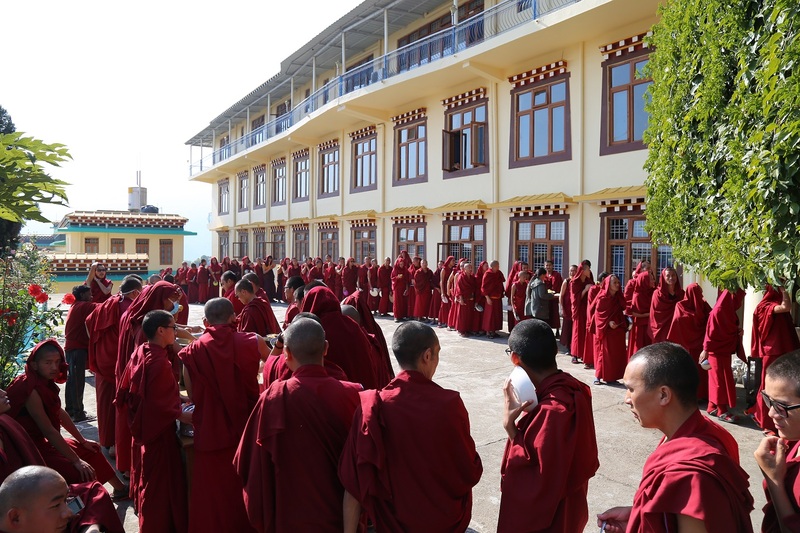 The Shedra was transferred to Bir colony in northern India in 1985 and began to function in accordance with the daily schedule of Khamje Dzongsar Shedra, in Tibet, a schedule that has been maintained since. 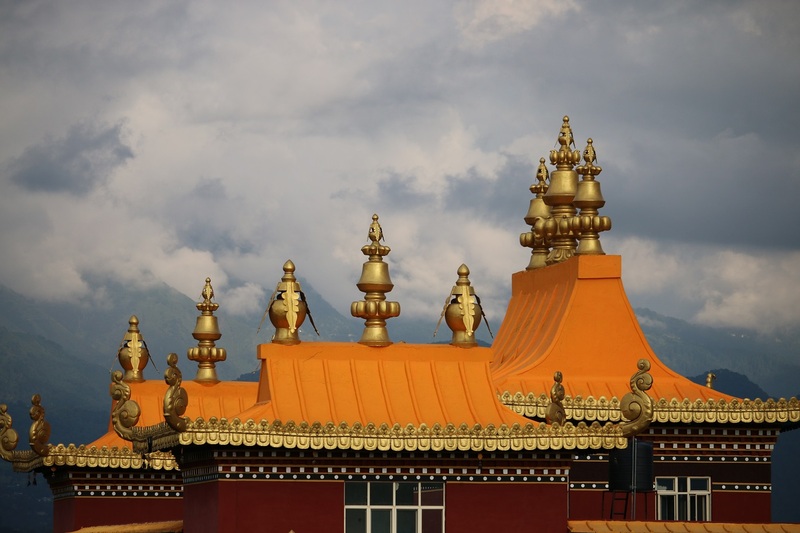 The usual activities in the Shedra include fortnightly confessions, Dharma protectors’ liturgy, daily morning and afternoon prayers and dedications, classes, self study sessions, review classes,etc.—all based on the schedule of the Shedra in Tibet. The criteria for admission are as follows: students should be between 15 and 25 years of age, be a member of an ordained Sangha, commit not to transgress any rules, engage in any task assigned to them, and commit that, once the study is completed, they will serve the Shedra in India or go back to their own monastery, both serving the community and propagating the teachings of Buddha Shakyamuni. As the numbers of students gradually increased, the space at the Shedra proved to be limited. With the generous help of Taiwanese sponsors, a plot of land was bought in the nearby Chauntra area, in October of 1999. The construction project begun on the 15th of March, 2000, and the external infrastructure was completed in 2004. In that same year, the Shedra moved to Chauntra, and HH Dalai Lama graced its opening ceremony. In 2008, HH Sakya Trizin consecrated the Shedra and also taught the complete Path and Fruition teachings. 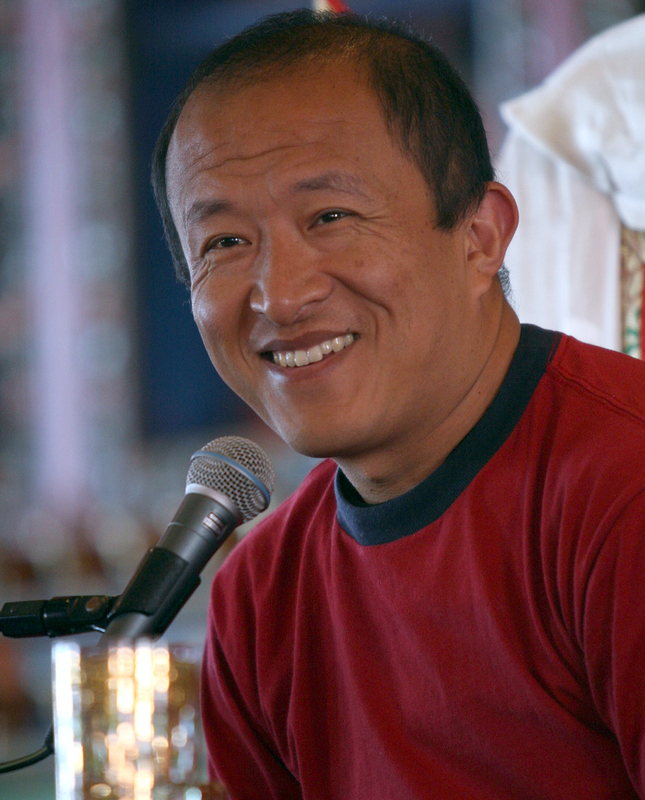 Periodically, Kyabje Khyentse Rinpoche bestows empowerments and teaching. Always classes on Buddhist philosophy and related sciences are taught.